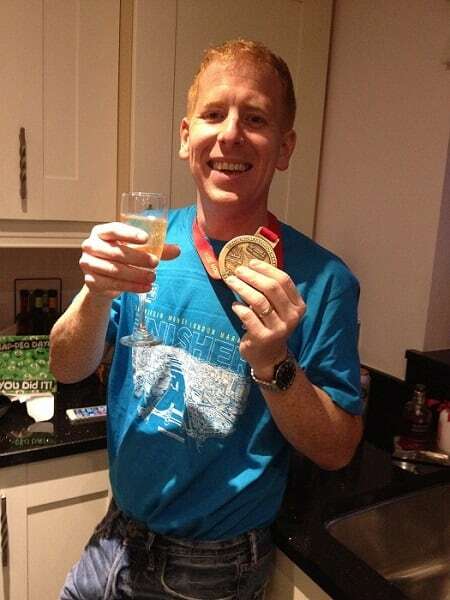 Nottinghamshire Hospice – supporting our customer Iain Wing, who also supported the charity through running the London Marathon (see photo). Friends of the Children’s Centre, Kings Mill Hospital – to help provide equipment and toys for their centre that supports children going through therapy to treat disorders of movement and posture. Nottinghamshire Leukaemia – To help provide support to sufferers of the condition within the county. Maggies Centre, City Hospital – To assist in the building of a garden at the centre where terminally ill people receive support and guidance at such a traumatic time. Real United FC, Stoke Bardolph – To assist in renovating their changing facilities. The community club was formed as a project to help keep young people away from gangs and violence.